If your business needs transportation for multiple employees, let Legends Charter Bus St Paul professionally provide your corporate bus rental needs. Whether you need transport to seminars, business conventions, team building events or meetings we can provide executive bus charter in St. Paul, Minnesota, USA. We have a fleet of minibuses and motor coaches equipped with the latest facilities to meet your transportation needs. With power outlets, PA systems and WiFi available on many of our vehicles, our buses are ready to provide you with better executive travel in the St. Paul area. There are many advantages to group travel for corporations. A business is made up of a group of individuals working for a shared goal. The success of that shared goal can be improved by group cohesiveness, group travel can aid in this. 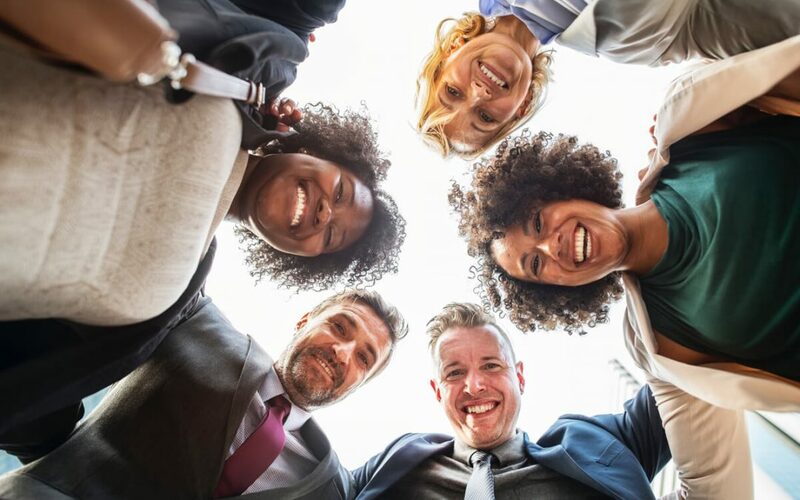 Improving the interaction between a group of individuals can be good for the overall profit and growth of the business. Team building exercises try to promote interaction for this reason. So if you need to move a number of your employees to an event, group travel makes real sense. These buses are also great for wedding transportation. Providing your staff with luxury executive coach travel can be used as an employee perk. It can make your employees feel more valued and promote more loyalty to your business. If you have many employees which need to arrive at an event at the same time, it can be a headache to organize. You will need to provide directions and a map of the location, even then someone may lose their way on the trip to the event. Some people may be late or be held up in traffic. 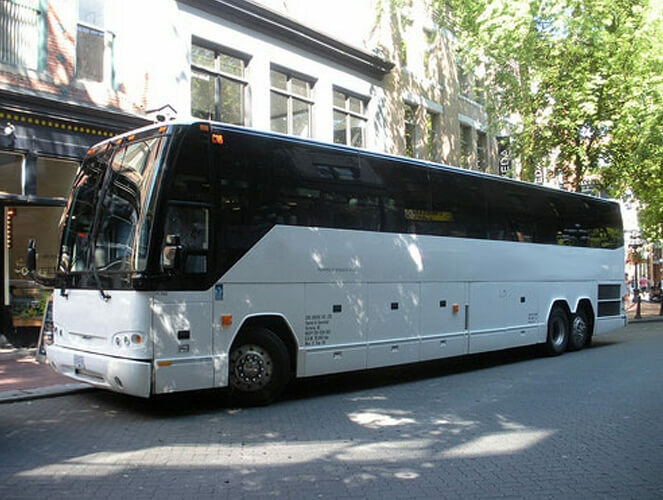 Our charter bus service can remove these potential problems for your company. Our professional drivers will make sure you arrive on time, safely, navigating congestion and planning the most efficient route to your destination. Instead of driving themselves to the venue, your employees can better use the traveling time to prepare for the event, deal with emails or catch up on other work. The travel time can also be used to better get to know work colleagues and discuss business. Reduce the cost of necessary travel, by providing an environment where your workforce can be more productive than traveling to the event in their own car. Using group travel over individuals arriving at an event can save you corporation money. Corporate bus rental will save on parking, toll fees and gas costs which your employees would otherwise have to claim as expenses. The use of buses over single occupant cars is considerably better for the environment. In fact, using buses for corporate travel is on average seven times more fuel-efficient than allowing employees to drive themselves. Corporations are often environmentally conscious nowadays, and the use of bus rental is a way to promote green policies further. Allow Legends Charter to provide a no-obligation quote to meet your businesses travel requirements. Contact our sales representatives today, to find out how we can provide better transport solutions for your business.